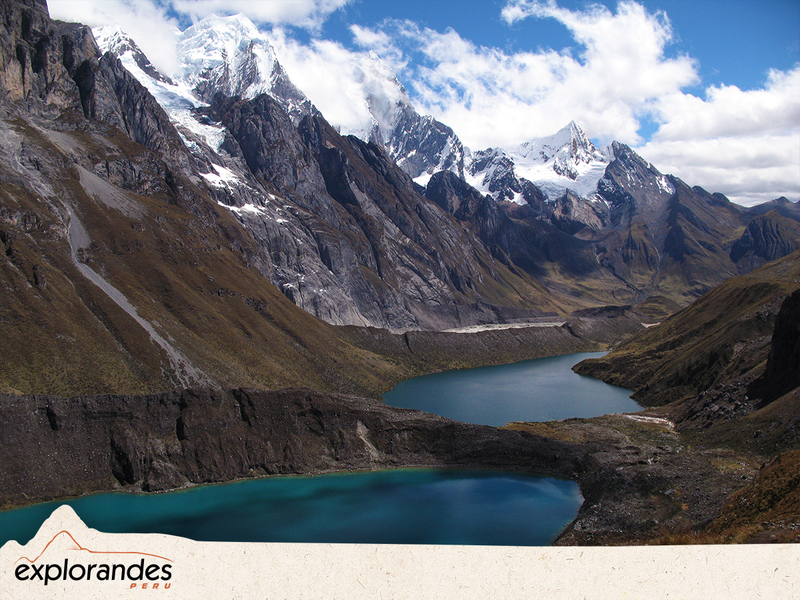 This trip takes us to the hearth of the Cordillera Huayhuash, The second highest tropical mountain range in the world. 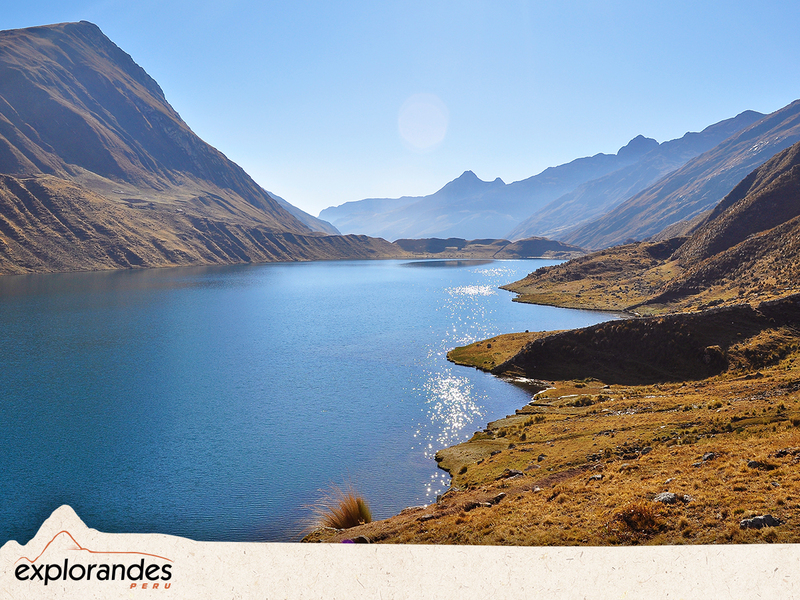 This trekker’s paradise is remote, wild and stunningly beautiful. This mountain range is home of Siula Grande mountain (6344m), where the book, and subsequent movie, told the harrowing tale of English climbers Joe Simpson and Simon Yates, after summiting the Siula Grande. This version of trek crosses six high passes over 4500m and two higher than 5000m. We camp next to stunningly beautiful alpine lakes and in broad, grassy valleys with wildflowers and rushing alpine creeks. And all the time we are appreciating White Mountains above us with peaks at elevations above 5000 and 6000m. 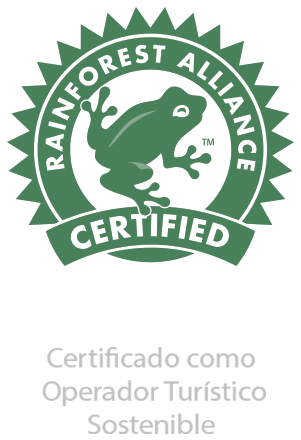 In the morning, we head south along the asphalt road for about two hours to Chiquian town. 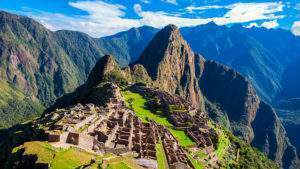 Way to this place, we will do a stop in a beautiful lockout to appreciate part of the Cordillera Huayhuash including Yerupaja, the second highest peak in Peru. 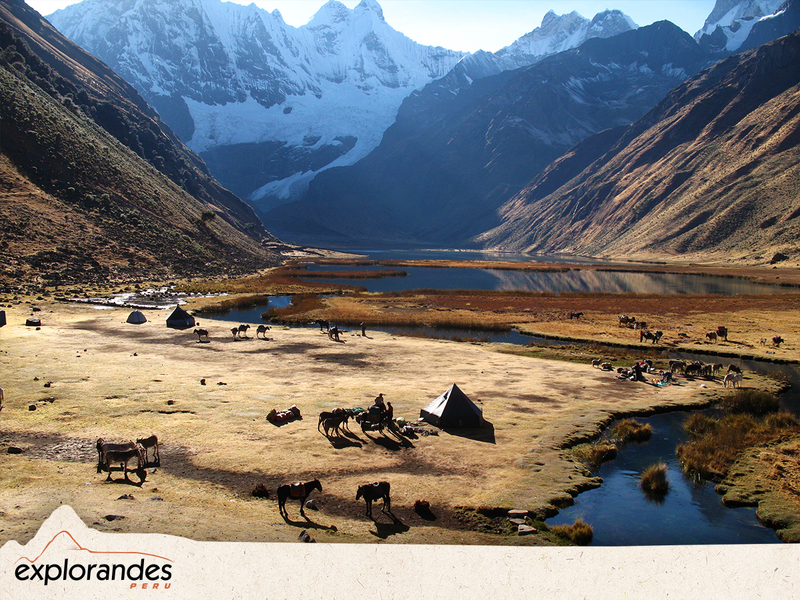 Continuing our journey, we follow a dirt road towards to Llamac Village, the gateway of the Cordillera Huayhuash. Crossing Pocpa village and Pallca mining we approach the entrance of Rondoy valley at 4050m, it opens up into a rolling grassy area where we will have the first views of the snow- capped peaks of the Cordillera Huayhuash. We set up our camp in Cuartelhuain at 4170m. 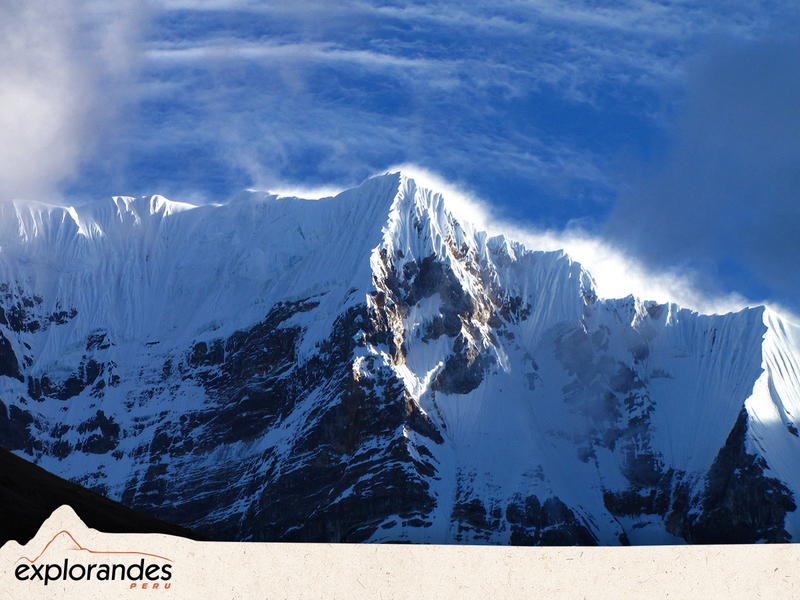 We start the day with the Cacananpunta Pass (4650m), at the northern end of the range. It is the Continental Divide, after which the waters now flow to the Amazon and the Atlantic. This is a favorite spot for the Andean condor, and we may well spot the huge birds soaring over our heads. From here, a rough descent through a multicolored landscape leads us to a beautiful flat and grassy campsite at Janca (4230m) not far from Lake Mitucocha, below Ninashanca, Rondoy and Jirishanca. 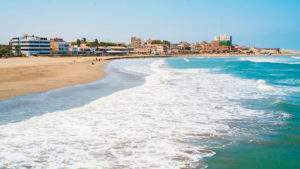 This is a short walking day to aid our acclimatization, but for those still feeling energetic we can take the short walk to the lake in the afternoon. Today’s pass, the Carhuac (4625m) is longer but not too steep, with splendid views of Yerupaja, at 6634m the highest mountain in the Huayhuash. 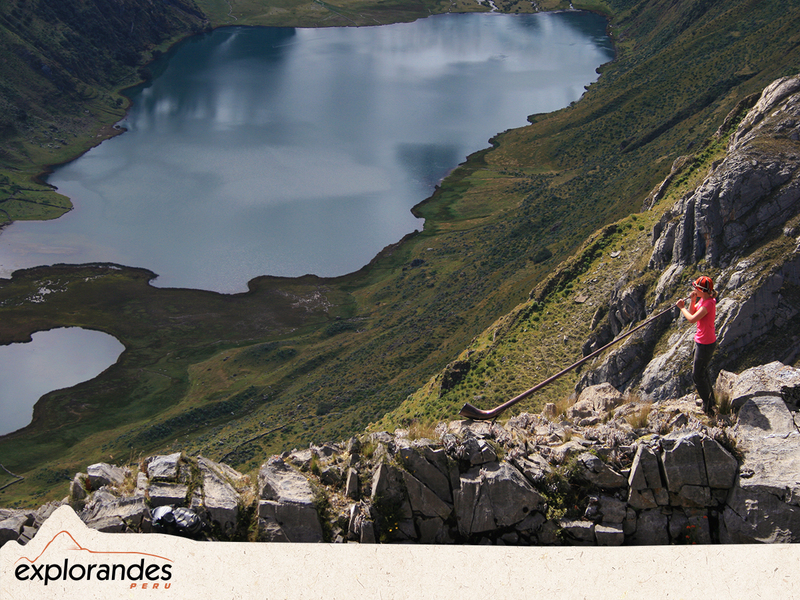 Descending, we finally arrive at the rim of the hanging valley, from which we look down on a lake of deep turquoise. 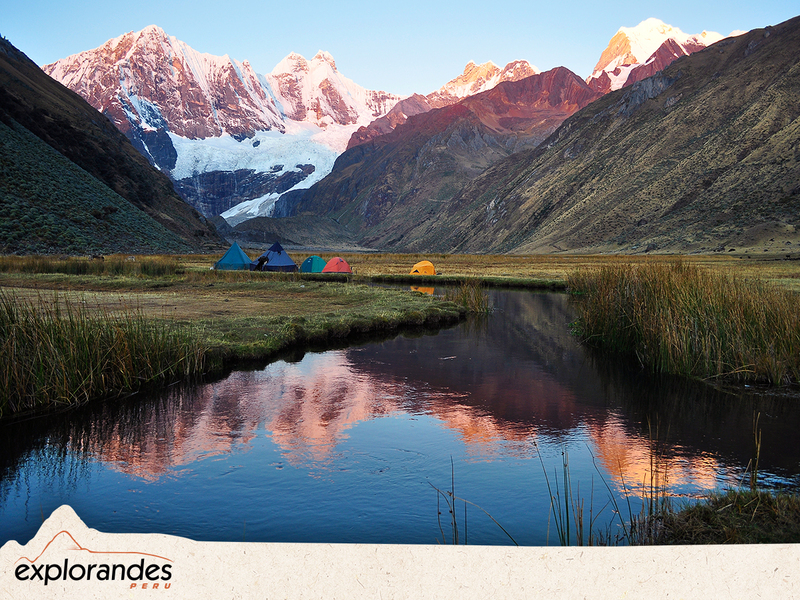 Our campsite below Lake Carhuacocha (4152m) faces an incredible vista of peaks and hanging glaciers: a view that proves you do not need 8000m peaks to have the most inspiring mountain scenery. Photographers are advised to wake up before dawn this morning to watch the sunrise over the Lake and Peaks from our campsite. The sun’s first rays catching the peak of Mt Yerupaja (6634m) certainly make the effort more than worthwhile.  Today is a long gradual climb up a beautiful valley surrounded by the splendor of Yerupaja, Yerupaja Chico, Siula Grande, Jirishanca, Santa Rosa and Carnicero and past the lakes Gangrajanca, Siula and Quesillacocha. Then we climb steeply to the top of the rocky Siula Pass (4810m). Descend to Huayhuash Campsite (4340m) surrounded by other mountains such us Trapecio and three Jurua’s peaks. Continuing our trip, we will ascend 680m elevation to gain to reach the fourth pass and one of the highest pass in our trek called Trapecio Punta (5020m). From the top of the pass, we have excellent views of the peaks of Trapecio, Puscanturpa and some peaks of Cordillera Raura located to the south. It is quite a “breath-taking” view. Then, we follow a quite trail very steep and rocky descent for the first 250m and after that, we walk on old glacier moraine before reaching camp in a grassy valley below the spectacular peak of Cuyoc. Camp en pampa Cuyoc at 4511m. We start the days climbing very steep toward to Santa Rosa pass located at 5057m. 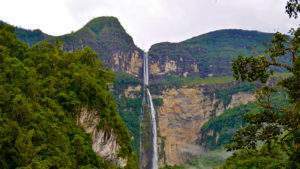 A wonderful lockout from where we can appreciate some mountain such as Yerupaja, Siula Grande, Sarapo, Rasac, Jurau, etc. Then, we descend and then to Cutatambo camp located in Calinca valley at 4250m, not far from Joe Simpson’s base camp before his climb to Siula Grande. Splendid views of Sarapo, Carnicero and Trapecio. Optional hike or rest in the campsite. A relaxing day to explore this dramatic area of glaciers and lakes or to explore Joe Simpson’s Base Camp. Chance to climb the Cerro Gran Vista, a panoramic lockout from where we can see some mountains of the Cordillera Huayhuash. We retrace our steps down the Sarapococha valley and drop to warmer climes of the cultivated valley of the remote village of Huayllapa (3577m), with beautiful views of the waterfalls. In the afternoon, we climb steeply again to spend the night at 4320m at Huatiac, a high grazing meadow under the shadow of Diablo Mudo, the ‘Dumb Devil’. This is probably the hardest day, with a tough afternoon, and often-hot weather. A very easy day as we cross the Punta Tapush pass (4770m), and then, we descend for approximately one hour to our next camp located in Gashpapampa at 4520m. From the campsite, we appreciate the sunset in the Mount Diablo Mudo. We walk down to Angoshcancha valley with a forest of Quenual trees. Then we ascend to our eight and last pass. On to the steep and scree-covered Yaucha pass, at 4850m. 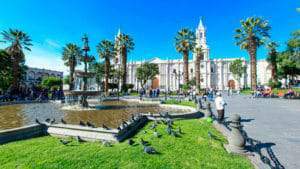 On clear day, there are magnificent views of the highest peaks of the Huayhuash range and long-distance panoramas to the peaks of the Cordillera Blanca. Here is another good spot for sighting condors. 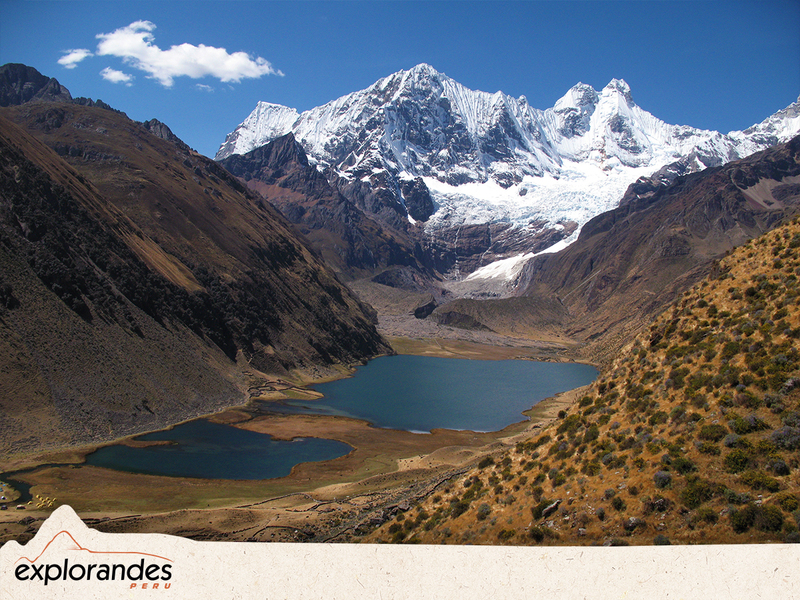 A long descent brings us eventually to Laguna Jahuacocha, widely held to be the scenic gem of the whole range. Overnight at 4050m. 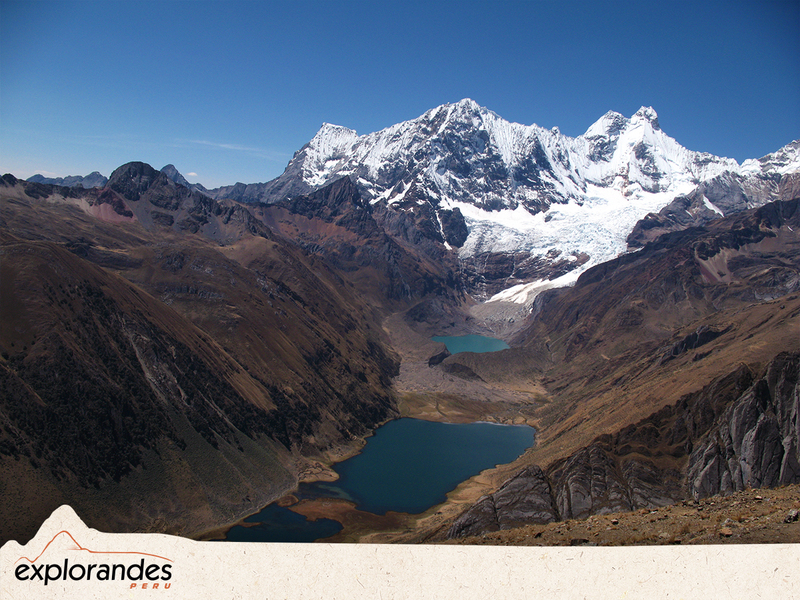 Jahuacocha lies at 4100m beneath the glacier-covered west faces of Yerupaja, Jirishanca, Rasac, Rondoy and El Toro. 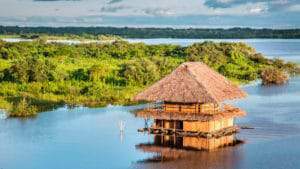 By day and by moonlight it is an indescribably beautiful place; there is abundant bird life (Puna ibis, Andean geese and more), and some fine walks around and above it. The lake and rivers hold plenty of trout and we hope to catch enough for dinner. We spend a rest day here, although this extra day is partly to allow for delays in route. There are some hikes around the camp, which could be optional for this day. 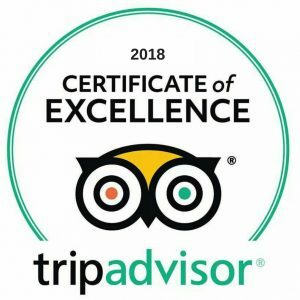 With successfully completing our special version of this shortened Huayhuash trekking circuit, after breakfast we leave camp early for our return to Huaraz. We will ascend a steady but gradual climb up to Mancanpunta pass at 4550m and then, after a brief rest at this vantage point taking in the surrounding Andean ranges, we will descend a steep gravelly trail to Pocpa (3550m). In Pocpa, our private transportation awaits to transfer us back to Huaraz.